I noticed that even though I've been posting every day a lot of the posts don't even have a photo attached to it! How can this be a photo blog without any shots? I promise there is a lot of eye candy coming up, but for now I ask you to forgive me. Not convincing enough? Well if the cuteness that I will post below does not convince you to forgive me, I don't know what will! 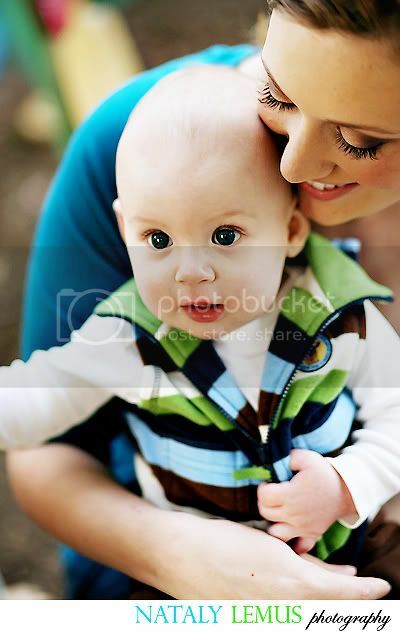 Here's a teaser form a family session that will be on my blog soon! Is he not the cutest?! Oooh can't wait to see more of this cutie! oh my gosh - those eyes! How pretty! not to be outdone - mommy's eyemakeup is killer too! love it! I'm biased, but yes he is the cutest :-D Cannot WAIT to see the rest. That is such a cute baby!! What a nice picture! I thought that was your baby boy, Andi! Congrats! I love this shot!